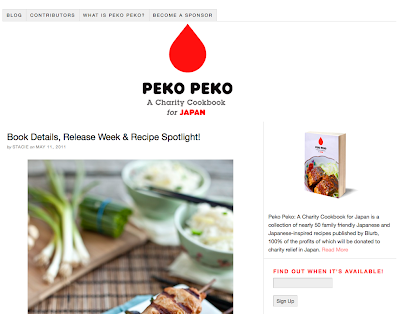 As many of you know, for the past month and a half I have been busy working on Peko Peko, a collaborative cookbook project to raise money for the relief efforts in Japan. Well, I am excited to say that my job as the book designer is pretty much finished, and the book is scheduled to go on sale within the next few weeks! 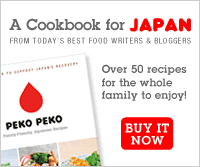 It has been such an honor and pleasure working with Team Peko Peko (Stacie, Rachael, Marc, Ayaka, Ann, Justin, Judy...) and I can't wait to see the fruit of our labor (of pure love♥) in print... woo hoo! Check out the website to find out more and get a sneak peek at the recipes and gorgeous photos!